The purpose of this web site is to provide you with information about the business of Energy Arts, Inc., its products and training programs, the campaigns that it supports, and the activities it undertakes. By using the Energy Arts Website and Instructor Directory you agree to a disclaimer, which is expressed in legalistic terminology, and is presented this way because of the nature of our society. We live in a legalistic world that is dissimilar in many ways to the world in which Bruce learned his material. In that world, if a student had tripped, fallen and twisted his ankle upon leaving his master’s house the responsibility for the accident would have lain with the student. In our world, however, people may try to displace responsibility onto the teacher, or the teacher’s teacher! Regretfully, this means that we are legally obligated to ask you to read and accept the disclaimer below. We certify our teachers and we re-certify them every two years but we don’t operate a franchise business like McDonalds. We don’t take a cut from instructors’ incomes, neither do we tell them how to structure their programs nor insist they all wear the same uniform when they are teaching. 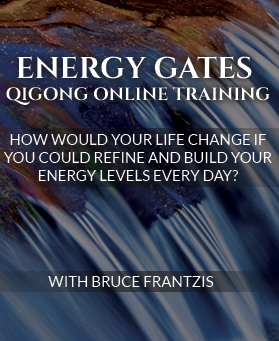 In addition to Energy Arts programs, some teachers may also offer other services that are not part of the Bruce Frantzis Energy Arts® system. The network is what we like to call ‘an unintentional community’ of small pieces loosely joined who share a common set of values and aspirations. You should do your due dilligence on any teacher that you speak and train with. The instructors in the Energy Arts directory have successfully completed at least one instructor training in the Taoist arts given by Energy Arts, Inc. and received a certification. They are all independent instructors who operate their own businesses and are neither affiliated with nor endorsed by Energy Arts, Inc. It is your responsibility before initiating training with any of the Certified Instructors in the directory to investigate the nature of the instruction you will receive and the background and experience of the instructors. Energy Arts, Inc. is not a party to and is in no way responsible for any agreement or relationship between you and any Certified Instructor. 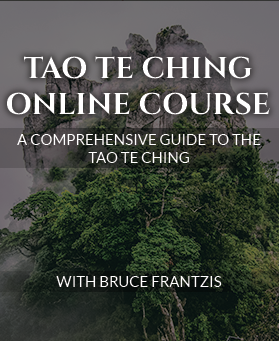 Physical contact, deep contemplation and the risk of physical injury and emotional stress are inherent in the practice of Taoist arts. 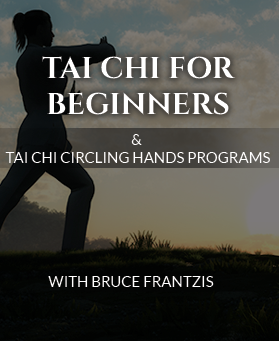 By using the directory of Certified Instructors, you acknowledge and assume the foregoing risks and hereby release, waive, and discharge Bruce Frantzis, Energy Arts, Inc. and all of its officers, employees, representatives, and agents, of and from, and covenant not to sue the foregoing with respect to, all liability of any kind for any and all injury, loss or damage which may be suffered because of any matter, thing or condition, negligence or default whatsoever in connection with any instruction, program, or any other involvement of any kind with any of the persons whose names appear in such directory. Energy Arts Inc. and B. K. Frantzis are joint owners of all rights in this web site and its contents. The content on this web site is copyrighted as a collective work under the United States and International copyright laws, including copyright in the selection, coordination, arrangement, and enhancement of such content, as well as such items as information data, photographs, graphics, videos, text, images, typefaces, sounds, e-newsletters. Links to this web site may be included in any other web site. You may not otherwise publish, distribute, extract, reuse or reproduce any part of this site in any form (including photocopying or storing it in any medium by electronic means) other than in accordance with the limited use license set out in the copyright notice or as permitted by the Copyright Designs and Patents Act 1988 or the Copyright and Rights in Databases Regulations 1997 as applicable or any equivalent legislation as may apply in your country. Notwithstanding the forgoing, brief passages from this web site of no more than 250 words may be quoted verbatim, provided the web site, www.energyarts.com is conspicuously credited and linked as the source. All brand, product and service names used on this web site are trademarks, trade names or service marks of Energy Arts, Inc unless otherwise stated. Energy Arts, Inc. and its agents expressly disclaim any responsibility for any product or service or the accuracy, content, or availability of information found on other web sites that contain links to or from this web site. Because some web sites employ automated search results or otherwise link you to web sites containing information that may be deemed inappropriate or offensive, Energy Arts, Inc. cannot be held responsible for the accuracy, copyright compliance, legality, or decency of material contained in third-party web sites, and you hereby irrevocably waive any claim against Energy Arts, Inc. and its agents with respect to such material. Under no circumstances shall Energy Arts, Inc. or any other party involved in creating, producing, or distributing our web site be liable, and you agree to waive and hold Energy Arts, Inc. and B. K. Frantzis harmless for any and all such liability, for any direct, indirect, incidental, special or consequential damages or loss of profits, good will, use, data or other intangible losses (even if we have been advised of the possibility of such damages) that result from (i) any delay, failure, interruption or corruption of this web site or any data or information transmitted in connection with the use of this web site, (ii) personal injury or death caused by your use or misuse of this web site, (iii) the cost of procurement of substitute goods and services resulting from your use of any goods, data, information or services purchased or obtained or messages received or transactions entered into, through or from our web site (iv) unauthorized access to or alteration of your transmissions or data, (v) statements or conduct of any third party on this web site, or (vi) any other matter relating to this web site. You hereby acknowledge that the waivers and obligations to hold harmless contained in this paragraph shall apply to all content, merchandise, and services available through this web site. Because some states do not allow the exclusion or limitation of liability for consequential or incidental damages, in such states, liability is limited to the fullest extent permitted by law. Notwithstanding the above, the sole liability of Energy Arts, Inc. and B. K. Frantzis for any reason to you, and your sole and exclusive remedy for any cause or claim whatsoever, shall be limited to the amount paid by you for any product, information or service purchased by you from Energy Arts, Inc. through this web site. By using the Energy Arts website and its directory, you indicate that you have read, understand, and agree to the foregoing Terms and Conditions. By using the Energy Arts website and its directory you also agree to Event and Medical disclaimers. The creators and publishers of these products disclaim any liabilities for loss in connection with following any of the practices described in these presentations and implementation is at the discretion, decision and risk of the viewer. I hereby agree to obey all rules and regulations when I attend an Energy Arts training, event and/or course, and acknowledge that these rules and regulations have been established to keep order and protect students from injury. I agree to abide by the directions of Energy Arts, Inc., Bruce Frantzis and/or his assistants, certified instructors and their assistants, and the rules and regulations established for these studies, so as to minimize risk of injury. I agree not to teach any of the material learned unless expressly certified as an Instructor by Bruce Frantzis and Energy Arts, Inc. I understand any violation of rules, harmful behavior or disturbances may result in being asked to leave the training immediately without compensation. I understand that there will be different levels of instruction and I may be assigned a group and I am not allowed to attend a sessions above my assigned level. Throughout the event(s) being held by or on behalf of Bruce Frantzis and/or Energy Arts, Inc. photographs, audio recordings and/or videos may be taken to use for such purposes as in archives, instructional aids, promotional material and website applications. The following grants permission and full unlimited rights in perpetuity to the use of your image and/or likeness thereof in such photographs, audio recordings and videos. Energy Arts, Inc. (the “Company”) respects the privacy concerns of the users of its website, www.energyarts.com and the services provided therein (the “Site”). The Company thus provides this privacy statement to explain what information is gathered during a visit to the Site and how such information may be used. Bulletin Boards and Chat Areas: Guests of the Site are solely responsible for the content of messages they post on the Company’s forums, such as chat rooms and bulletin boards. Users should be aware that when they voluntarily disclose personal information (e.g., user name, e-mail address, phone number) on the bulletin boards or in the chat areas, that information can be collected and used by others and may result in unsolicited messages from other people. You are responsible for the personal information you choose to submit in these instances. Please take care when using these features. Choice/Opt-Out: The Site may provide you the opportunity to opt-in to receive communications from us at the point where we request information about you. You always have the option of removing your name from any e-mail list in order to discontinue any such future communications. In order to ensure immediate removal from any list, please follow the specific instructions set forth within the communications you receive from the Company which you no longer wish to receive. If you are unsuccessful in completing the instructions specified in any such communication, please e-mail us at support@energyarts.com, including a copy of the undesired email attached to the request, and state you wish to be removed from the mailing list.